I have seen tiles that have been prepared in the lab environment that have epoxy well bonded to it. Doing it in under laboratory conditions and doing it in the field is two different things. In all the over 35 years I have been in the business I cannot point you at a single success story where epoxy was installed over tile. My company started off as an installation company about 35 years ago. 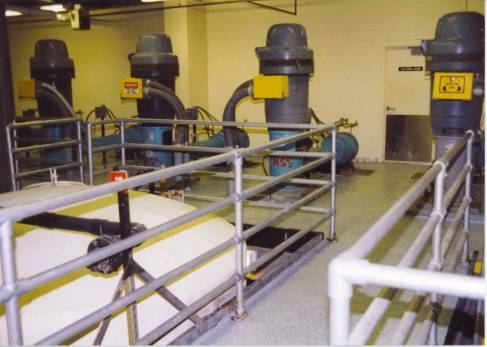 When we were a young installation company we made build a sizable business by going around behind all of our competitors that were installing epoxy over tile, and redoing their failed work. That is why I typically I recommend against going over ceramic tile with epoxy. Bonding to tile requires either intense physical abrasion like sandblasting or etching with phosphoric acid to remove the glaze. If you etch with acid it usually eats up the grout. Acid may, and more likely than not will, get under the tile and loosen it. The heat and vibration of the sandblasting tends to loosen tile. Sandblasting will damage the grout. Best case situation the tile will require regrouting. After all that, a single tile comes loose, or a single piece of old grout comes loose, and you have failed your objective. Many people like the looks of tile. They don’t like the way tile grout leaks and is hard to maintain. 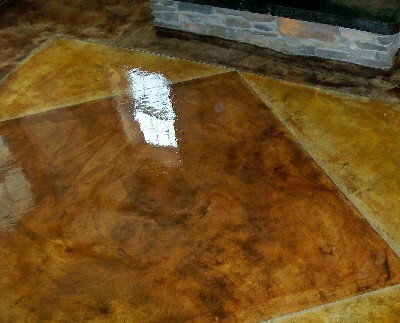 For them I recommend that you remove the grout and regrout it with Epoxy.com Product #225 – www.epoxy.com/225.aspx. Product #225 is a 100% solids water cleanable epoxy that is waterproof grout. This eliminates most leaks and grout maintenance issues. Thos of you that don’t like the looks of the tile, I recommend removing the tile. Get down to a sound substrate. And then proceed. – www.epoxy.com/surfaceprep.htm. Apply Epoxy.com Product #1W – www.epoxy.com/1W.aspx to the walls. Product #1W is a 100% solids waterproof coating that leaves a ceramic like finish. Product #1W applies much easier than most 100% solids epoxy. It has superior durability and abrasion resistance. For floors (after the tile is removed) I would level with Epoxy.com Product #12 mortar – www.epoxy.com/12.aspx and then install Epoxy.com Chip Flooring – www.epoxy.com/chips.aspx. Heavy traffic on floors often makes the use of decorative flooring products impossible. Product #315 Seamless Polymeric Multi-Colored Flake Chip Floor Resurfacing System makes this possible. The #315 Chip System creates a beautiful, durable, and affordable floor that is easy to apply by both professionals and do-it-yourself enthusiasts. job to answer that question. The best epoxy is the one that is right for the specific job. That is where our company’s motto “The Right Product for the Right Job” came from. This is the driving force of our company and our technical support department. This has been our driving force for 35 years. Perhaps the real question is, “What is the most versatile epoxy?” That is an easier question to answer. It is Epoxy.com Product #15 – www.epoxy.com/15.aspx. When I was an epoxy installer I always had Product #15 Clear Chemical Resistant Epoxy Resin on my jobsite. Can be applied as an aggregate filled system at a thickness of 12 inches or more. Product #15 – www.epoxy.com/15.aspx – is a great product to have around for any number of emergency situations. Please address your questions to Epoxy.com Technical Support at 352-533-2167 or email me at norm@epoxy.com. Heavy traffic on floors often make the use of decorative flooring products impossible. To make this possible we created System #315 Seamless Epoxy Multi-Colored Flake Chip Floor Resurfacing System. Our #315 Chip System creates a beautiful, durable, and affordable floor that is easy to apply by both professionals and do-it-yourself enthusiasts. What is new and unique? At last there is a high quality seamless floor finish which can be provided in every desirable color combination. This system is easy to use, by any skilled do-it-yourselfer or coating professional. For potential customers, both commercial applicators and the do-it-yourselfer, the final result is most certainly beautiful, affordable, and its durability insures the product to be long lasting, waterproof, easy to clean, and maintenance free. 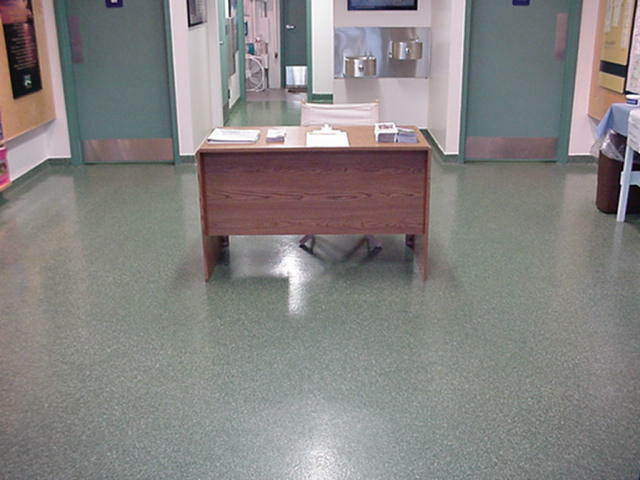 System #315 Seamless Epoxy Multi-Colored Chip Flooring is available in virtually limitless color combinations. If your job is big enough our chips can be pigmented to match all the colors of many major paint companies. We can color match our base coat colors as well. Unless the pigments for your custom colored 315 Basecoat are unusually expensive we can color match for a modest small batch charge, or at no charge for larger orders. Even our standard color pallet offers you over 45 chip colors that can be blended in any combination and percentage as you want. By matching the base coat color in the chip, you make the system much less prone to error. If you should happen to miss a small spot on the floor the base color shows through, looking like it is just more of that chip in that area. System #315 chips are also available in 7 sizes ranging from a 1 inch chip down to 1/32 inch chip. Smaller chips give the look a lot like epoxy quartz flooring. The various colors and sizes allow you to give your floor any number of looks like stone, terrazzo, colored quartz, or vibrant linoleum. Our clear glaze coat does not yellow quickly like other epoxies. We have some jobs that have been around for 30 years or more where no yellowing can be found, not even under the urinals in high school bathrooms. This kind of durability is perhaps the most important quality of the #315 Chip Flooring System. Anyone can provide you with a flooring system that is attractive today. The #315 Chip Flooring System is the flooring system you need if you want it to stay like that for years to come.